MAJOR $100k PRICE REDUCTION! Own a beach front home INCLUDING THE LOT in Southern California for under $1,500,000! Enjoy panoramic white water views of Catalina, the coastline, San Clemente Pier, Dana Point Harbor and magnificent sunsets. Views from an open kitchen, dining and living room floorplan AND a large wrap around entertainment deck. 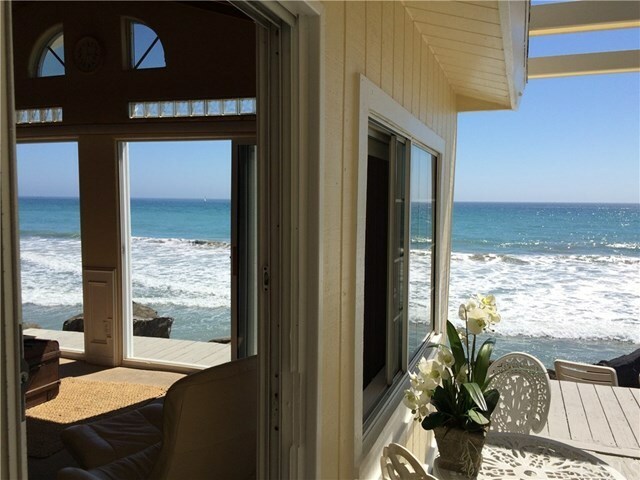 This charming beach cottage home is conveniently located close to the community entrance and offers easy and short walking access to the San Clemente coastal trail and the pier. Short distance to restaurants and grocery supplies. Ocean breezes, sound of waves, all the beauty of the ocean is at your doorsteps. Capistrano Shores is a very unique manufactured home community with 90 homes sitting on the sand. All the lots are privately owned. HOA includes water, sewer, trash, general maintenance, railroad lease, property manager, security, seawall fund and reserve fund. A great investment while your family and friends enjoy beachfront living.